Second Harvest Food Bank of North Central Ohio welcomes all qualified non-profit community food programs to become a part of our network. 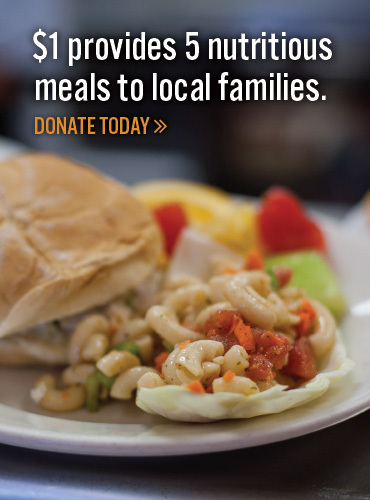 Our programs include food pantries, soup kitchens, shelters and supplemental programs throughout a four-county region including Crawford, Erie, Huron and Lorain. Second Harvest encourages organizations to consider the following needs in the community before starting a food program and when applying to partner with us. Reach a rural or otherwise underserved area or population? Serve more than once a month? Serve on the weekends or in the evening? Aim to serve at least 50 households or meals on the day of service? Offer additional services to meet the needs of the community? A copy of your 501(c) 3 Letter of Determination or Affirmation Letter from the IRS or equivalent fourteen (14) articles for churches.